Who’s Who in La Zona? 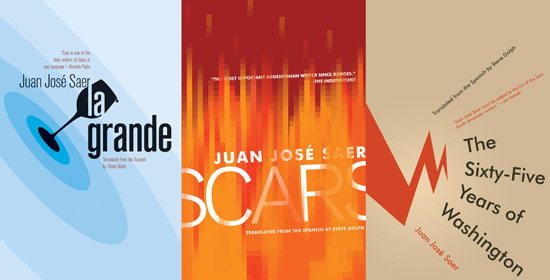 Steve Dolph is the translator of three books by the late Argentine novelist Juan José Saer, who died in Paris in 2005. All three were published by Open Letter Books, the most recent (June ’14) being Saer’s final, unfinished novel, La Grande. Mr. Dolph is currently a Ph.D. candidate in Hispanic Studies at the University of Pennsylvania, where his research treats Renaissance ecopoetics and the pastoral tradition. His most recent translation, of Sergio Chejfec’s “El entenado” / “The Witness,” is available in the July 2014 issue of Asymptote. This interview was conducted via e-mail over the early summer months, rambling like “a long afternoon’s conversation,” as Dolph commented, which is perhaps the most apposite way to approach an author so devoted to the vagaries of unfocused thought, and the ways its wandering through time and space makes itself manifest in language.